People planning on buying a car that can help them reduce their carbon footprint may want to pay a visit to their local Toyota dealership. The manufacturer has pointed out its new Prius comes with an engine that offers the best fuel economy of any production petrol unit in the world. Capable of 72.4 mpg, the auto might help drivers protect their pockets as well as the planet - as they could find they end up filling the tank less frequently than they are used to. Motorists may also discover the car's green credentials can help them make savings in other areas as well. The vehicle boasts CO2 emissions of 89 g/km - 14 per cent lower than its predecessor. As a result, owners will be exempt from paying road tax and people who use the auto as a company car will qualify for the lowest benefit-in-kind statutory charge rate - which currently stands at ten per cent. 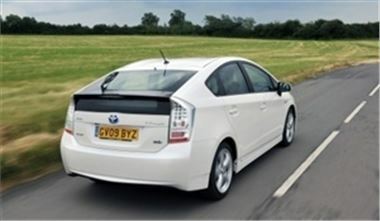 In related motoring news, Calder Cabs in Edinburgh recently became the first Scottish taxi firm to start running a fleet of Toyota Prius models.